The average price for this game since released is $31.08. Lowest historic price was $22.40 on Apr 17, 2013 at Green Man Gaming. The average price for this game since released is $27.27. The game first became 50% off on Jul 10, 2013 at GameStop. Lowest historic price was $8.98 on Dec 11, 2013 at GameFly. Get $9 off yesterday's release Defiance on Xbox 360 and PS3 after coupon at Gamestop. Only discount seen for the console versions. The average price for this game since released is $34.31. The game first became 50% off on May 6, 2013 at Green Man Gaming. Lowest historic price was $3.99 on Dec 11, 2013 at GameFly. Man, Defiance must have been a huge flop, but maybe its worth a shot at this price point. The April release is already down to four bucks after coupon at GameFly. Elsewhere $10. We still remember the release day price of $59.99. New low on the Defiance PC download via Origin. 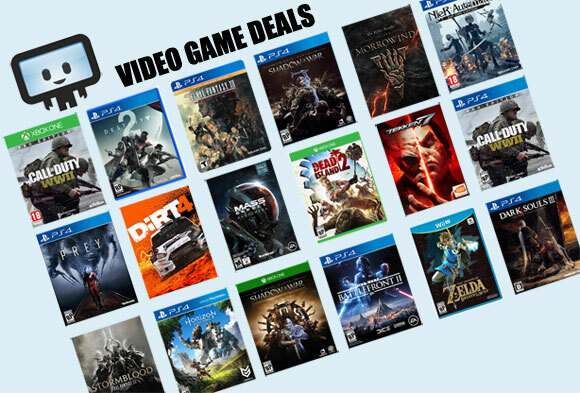 You'll save $5 off the next best price at GameFly. Standard download pc edition is $49.90, not $4.99. Do I need coupon code which I can't find anywhere around here ? Hmm very weird. I just checked and its indeed $4.99 - are you in the US or on some VPN? This is US-only I believe. Would be silly that its at $49.00 given many retailers have had the game on sale for under $15 since a month ago. I am outside US. So, the download price of $4.99 are for US only ? That is bad. New low on the PC download of Defiance, only $8 at GameFly. It was a good value at $13.56 in the Steam Summer sale. Here's a game that's cheaper than the Steam Summer Sale. Steam knocked the price down to $13.59 which was the lowest ever yesterday. Now Amazon is price matching the instant savings and you can use a coupon to drop the price even further to $11.56. The coupon can only be used once per account. Great time to buy the Defiance MMO on PC. Over the weekend GMG had a 30% off coupon dropping the price to $42 - a good offer. Today they gave the game an $18 instant discount and still the 30% coupon still works dropping the price to $29. A new low by $5. Next best price online is $48 at Amazon. Instant savings + stacking coupon is good today only. Panned by critics but decently received by gamers, Defiance on 360 and PS3 is down to $10 shipped or $8 picked up in store at Best Buy. It's only been cheaper for a short period of time about a month ago. The average price for this game since released is $24.53. The game first became 50% off on Jul 10, 2013 at GameStop. Lowest historic price was $8.98 on Dec 11, 2013 at GameFly. MMO-based Defiance drops to $7 today at Microsoft Store with free shipping. This makes the lowest price we've seen and $7 off the next best price. Next best price is $14 at Amazon. The April released Defiance drops to $30 on the Xbox 360 or PS3 at Gamestop. Your choice of $3.50 shipping or free store pickup. A solid value since even after the shipping charge, it's cheapest ever by $6.50. If you want free store pickup it can be a bit confusing compared to other online retailers that have physical locations. Instead of choosing store pickup in your shipping cart, you have to choose store pickup before you add to cart. After clicking "Get Deal" on Dealzon, look for the text "Want it in a hurry?" and click the store pickup option next to that. The average price for this game since released is $24.65. The game first became 50% off on Apr 12, 2013 at GamesRocket. Lowest historic price was $7.99 on Dec 11, 2013 at GameFly. The average price for this game since released is $60.41. The game first became 50% off on May 6, 2013 at Green Man Gaming. Lowest historic price was $11.99 on Dec 11, 2013 at GameFly.